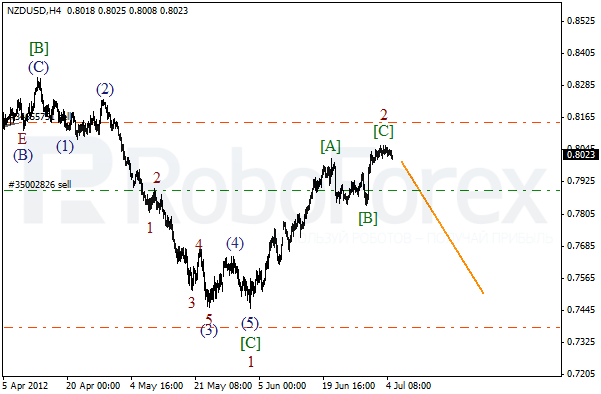 It looks like wave 2 has been finally completed in the form of zigzag pattern. There is a possibility that the price may make a reverse in the nearest future and start falling down inside the third wave. The correction was quite fast, that’s why in order to enter the market one is advised to wait until the price forms an initial descending impulse. 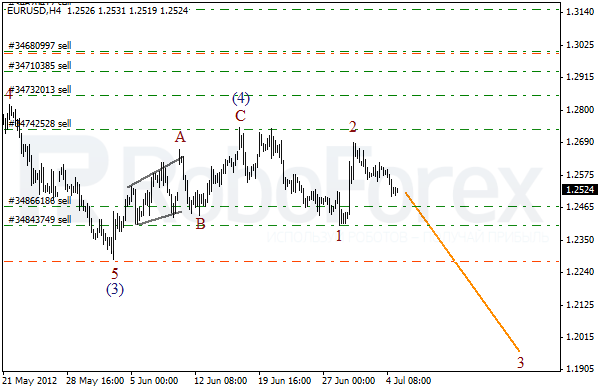 We may assume that after finishing diagonal triangle pattern in wave [C] of 2, the price started forming a bearish wave (1). If the pair forms an initial descending impulse, I’ll probably open one more sell order during the local correction. It looks like Euro is in the very beginning of the third wave. 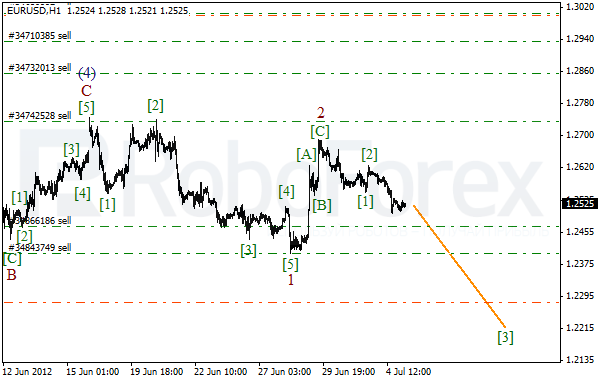 Earlier, after completing wave (4) in the form of zigzag pattern, the price formed an initial descending impulse, which has already been corrected by wave 2. In the near term, we can expect the pair to continue falling down. The target is at the level of 1.2000. If we take a look at more detailed wave structure, which is shown on the H1 chart, we can see that wave 2 has taken the form of zigzag pattern. 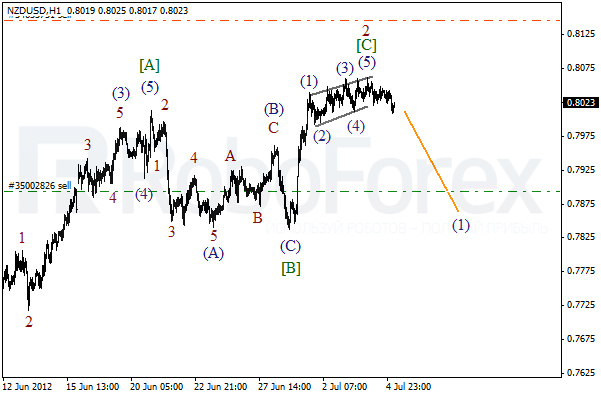 Currently the price is forming a bearish wave . Most likely, Euro will continue moving downwards inside the third wave during the next several days.